Please answer the following question and choose an answer. Are you with the majority? Is the majority right? Let’s check the correct answer. We will analyze it step by step. Mustafa (مُصْطَفَى), since we are talking about a human being, forms a sound masculine plural (جَمْعُ الْمُذَكَّرِ السّالِمُ). Such plurals have the suffix ونَ attached to them in order to indicate the plural in the nomi­native case. In the genitive and accusative case the ending is ينَ Note that the final ن is not the marker of the case and does not have any sig­nificance in our grammatical analysis. The cases are marked by the و and the ي. How do we deal with a sound masculine plural when it is the first part of a إِضافة followed by my (ي) as the second part? We drop the ن (we always do that in a إِضافة) – example I. We have to harmonize it with the ي‎ – example II. For example, مُوَظَّفُونَ is the plural of employee. Note: Example II is pronounced “muwaththafiyya”. The word looks the same in all three cases. Now let’s return to our example. مُصْطَفَى is grammatically speak­ing one of the harder ones because it has a weak letter at the end. 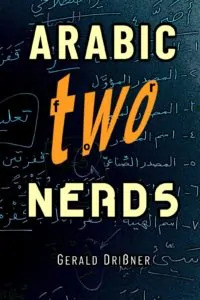 When forming the plural, the weak letter drops, so we get مُصْطَفَونَ (instead of مُصْطَفَيُونَ) and مُصْطَفَيْنَ (instead of مُصْطَفَيِيْنَ). Now let’s continue and add my. I use the word in the nominative case (مَرْفُوعٌ). However, the result would be the same if we took the genitive or accusative form. The ن drops, the ي will get a fixed, ce­mented shape (يَ) because the preceding letter (و) can’t take the necessarily needed كَسْرة; so the و will turn into a ي and both ي will merge. The final result is: مُصْطَفَيَّ, pronounced: “Mustafayya” . This form is the same in any case (nominative, genitive, accusative). This leaves us with a question: Why don’t we have a كَسْرة under the last root letter? Now, we have a فَتْحة on the letter ف. Why is that? Well, the فَتْحة re­mains be­cause it points to the existence of an Aleph (the ى) which became deleted when forming the plural. 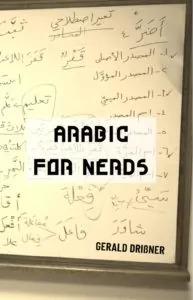 Remark: In the book Arabic for Nerds 2, I deal with stuff like that extensively.